Last weekend, the Rachel McAdams (she’s adorable) and Jason Bateman (less adorable) vehicle “Game Night” had a surprisingly nice box office haul, coming in at a whopping 17 million dollars. Not too bad! Having said that, it came in second … by 95 million dollars. Your eyes do not deceive you. Marvel’s “Black Panther” was and still is on an absolute rampage, beating “Game Night” by almost 100 million dollars in the box office. 100 million dollars. Most movies are pumped to have a total gross of 100 million dollars, let alone have that be the margin in their box office victory. So why the complete and utter box office annihilation? (Not to be confused with the film “Annihilation,” which suffered its titular fate at the box office). The answer is that “Black Panther” is an absolute game changer. It’s a comic book blockbuster with an African-American director, writers, and cast that takes place in the heart of Africa. On top of that, it explores deeply resonant themes like how to deal with inequality, with either anger or grace, a discussion reminiscent of the varying approaches in the Civil Rights Movement with Malcolm X and Martin Luther King Jr. No offense to “Game Night,” but this is bold, ballsy filmmaking by a studio and production company in a time where diversity is being extremely heavily debated. Never mind the fact that it’s a genuinely great movie too! The roaring success of “Black Panther,” financially, conceptually, and creatively marks a major cultural landmark in American film history, and inspired us at Trove to come up with 10 other moments that truly changed the film industry forever! I may be going out on a limb here, but I feel like including “The Horse in Motion,” what many deem as the first film ever made (1878), is probably worth nothing on a list of landmark moments in film history. Eadweard Muybridge (what a dumb way to spell Edward) almost unintentionally birthed the film industry in an attempt to study the gait of a galloping horse by splicing a series of photos of a horse together. The man used 24 cameras jerry-rigged to snap a photo when the horse’s leg hit a trip-wire. That is some elaborate stuff folks, and it paid off by paving the way for the creation of cinema. Plus now we gained some horse knowledge! Win-win baby. “Wait a minute, wait a minute, you ain’t heard nothin’ yet!” That, ladies and germs, was the extremely appropriate first line of dialogue ever uttered in a film, spoken by Mr. Al Jolson in 1927 in the film, “The Jazz Singer.” Silent films were obviously the M.O. to that point, but with that one line film was totally changed forever. Suddenly, people could actually … talk in movies. And you could hear them. Wild, wild stuff. It unfortunately resulted in the death of silent films and the death of the careers of some its greatest stars (note “Sunset Boulevard”), but the medium is better for it, if I may be so savage to say so. It's off to twerk they go. “Toy Story” gets it spot in the Trove annals of film history A. Because it was the first movie to be entirely computer generated, paving the way for Pixar’s incredible filmography as well Dreamworks, and B. Because it’s totally awesome and defined my childhood. Actor James Baskett won an Honorary Academy Award in 1948, but Poitier and McDaniel were the first African-American actors to win acting awards at the Oscars. With McDaniel winning Best Supporting Actress in 1940 for “Gone With the Wind” and Poitier in 1963 for “Lilies of the Field” the pair broke serious ground that, unfortunately to this day, is broken much too rarely. The Academy would go on to award Poitier an Honorary Oscar in 2002, an honor that is much deserved for the man they call Mr. Tibbs! What's scarier than this? A flushing toilet, apparently. Alright so obviously this is nowhere near as groundbreaking as racially historic Oscar nominations, but it’s still a first! And it was a significant breakthrough in Hollywood’s treatment of what was then considered “taboo.” In 1960 it was deemed as being legitimately quite naughty to show a toilet in a film, as studios weren’t sold on the idea of audiences wanting escapism in their films … only to be shown the porcelain throne. But the mischievous Alfred Hitchcock not only showed a toilet, but had it flush also. You have to admire the gallantry of an audience that had to deal with such horrors! It may seem trivial, but the f-bomb is … an essential part of cinema. Martin Scorsese’s entire filmography couldn’t exist without it! Judd Apatow’s entire filmography couldn’t exist without it! Quentin Tarantino’s entire filmography couldn’t exist without it! Film’s go-to insult, “f#@% you,” wouldn’t exist without it! In 1967, the film “Ulysses,” based on the James Joyce masterpiece, is the first film to drop the bomb in a monologue delivered by one of the main characters at the end of the film. That’s one BAMF contribution to cinema. 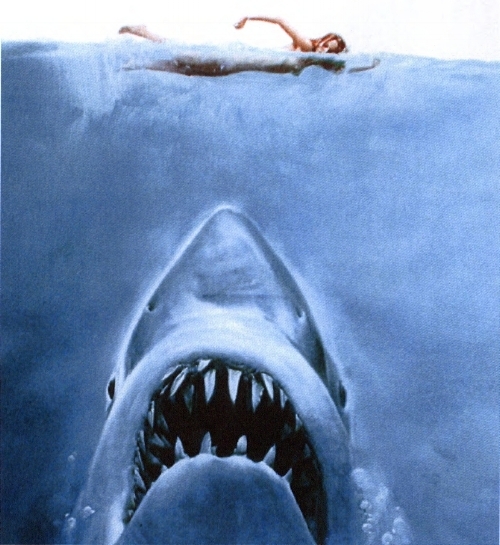 So I will be honest; I think “Jaws” is one of the most overrated movies of all time. The beach scenes are occasionally quite suspenseful, sure, I’ll give it to you, but overall, this movie is … such a snoozer. I put it on as a lullaby. Kathy B. struttin' her stuff! As many of you know, the Oscars were last Sunday night, and there was a ton of buzz surrounding Greta Gerwig, the director and writer of “Lady Bird,” scoring nominations for both of those efforts. Somehow, she was only the fifth female Best Director nominee in the history of the Oscars, which makes Kathryn Bigelow’s victory for “The Hurt Locker” in 2009 a truly stunning feat. 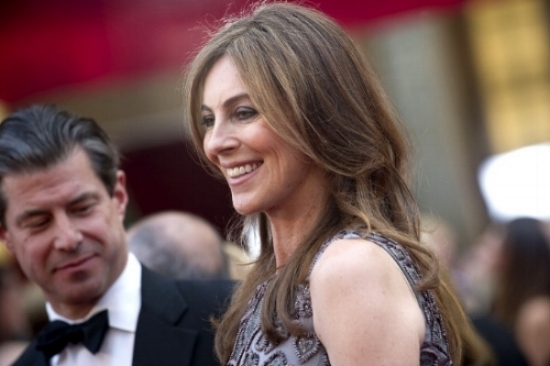 Women are 1 for 90 in the Academy Awards when it comes to Best Director wins, and Bigelow is their lone champion. What makes it even more impressive is the fact that she beat her ex-husband, previous winner James Cameron, for his flashy, effects-driven work in “Avatar,” and deservedly so. Way to stick it to the man, Kathy. There are several reasons why the upset that was “Moonlight” winning Best Picture at the Academy Awards is going to live forever in cinematic history. 1. Warren Beatty and Faye Dunaway, totally bombed the reading of the Best Picture winner and accidentally gave it to “La La Land” (Bonnie and Clyde aren’t as sharp as they used to be). 2. “La La Land” was by far and away the favorite for the award, as it was one of the if not the most dominant film ever on the awards circuit heading into Oscar night (let alone the most nominated film of all time). And finally, 3. The fact that “Moonlight,” a film about a gay black man living in poverty in Miami beat a musical about two likeable white twenty somethings living in LA pursuing their dreams of film and music superstardom is stunning. Only one film with a predominantly black cast had ever won Best Picture (“Twelve Years A Slave”) and no LGBTQ had ever won either. A true David and Goliath story that shattered expectations, it’s doubtful we’ll ever see an upset like this again at the Oscars. Much like Kathryn Bigelow, it is absolutely insane how many women have been nominated for Best Cinematography. And by “many” I mean “not many.” And by “not many” I mean “one.” Her name is Rachel Morrison, and after 89 years of women either not being given the opportunity to be directors of photography, or being snubbed once they’re given the opportunity, finally made the breakthrough for work in the Netflix original film, “Mudbound.” And, to bring us full circle, due to her incredible work in “Mudbound,” she received the DP reins on … wait for it … “Black Panther.” THAT is how you pick your projects ladies and gentlemen! 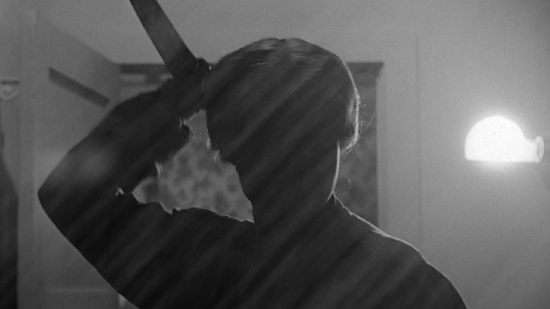 So there you have it folks, 11 moments that totally changed the landscape of film forever. Stay tuned for the twelfth, which will be the movie they make based on this very blog one day. We’re hoping to make it a franchise, so be sure to check out our other blogs on our website. Thanks again for reading, and we’ll see you guys next week when check out landmark moments in television history!